Nitrogen-based fertilisers like urea, which have been instrumental in increasing crop yields in India, are now turning into potent destroyers by polluting land and water, affecting people’s health and leading to climate change, says a report by Down To Earth. 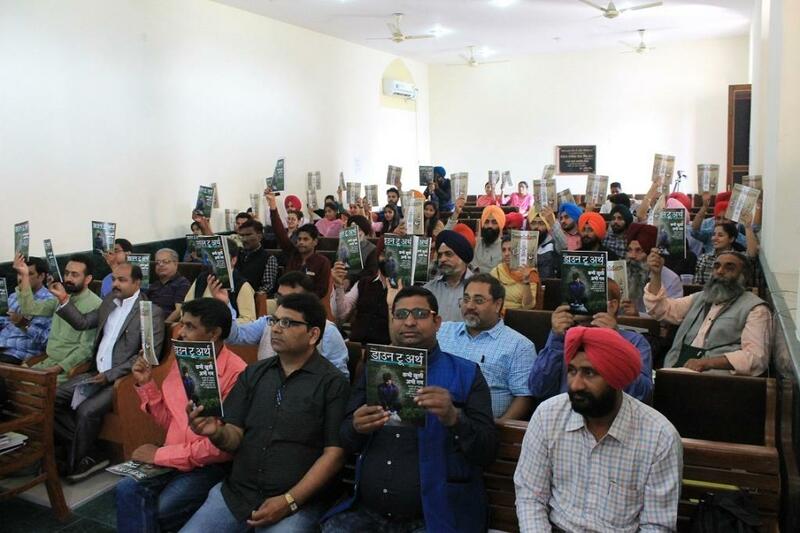 The magazine’s coverage is based on a unique 10-year study called The Indian Nitrogen Assessment, done by a group of scientists referred to as the Indian Nitrogen Group (ING). This is the first study of this kind in India. “According to the ING study, agriculture is the main source of nitrogen pollution in India. Within agriculture, cereals like rice and wheat, which account for the maximum cropped area, pollute the most,” says Richard Mahapatra, Managing Editor, Down To Earth. In the past five decades, every Indian farmer has, on an average, used up over 6,000 kg of urea. Only 33 per cent of this urea is consumed by rice and wheat crops. The remaining 67 per cent remains in the soil, water and environment, harming all irreparably. 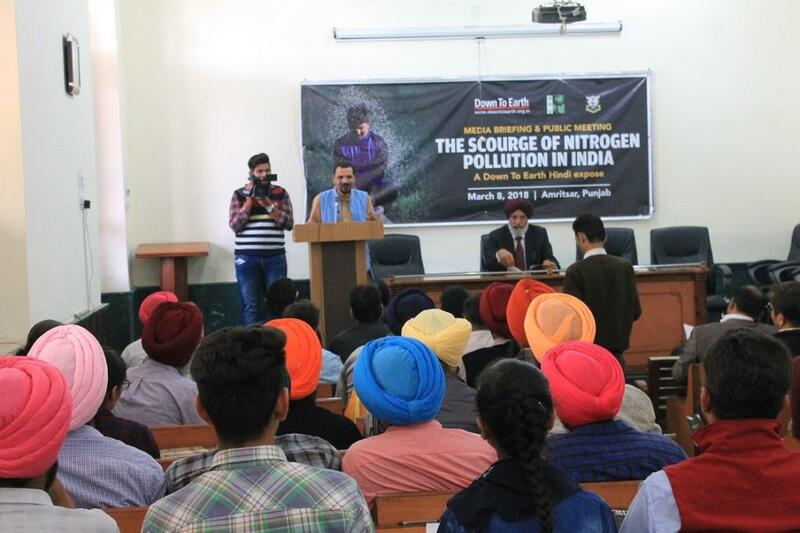 The discussions on Nitrogen pollution were occasioned by a Media Briefing and Public Meeting on the subject, organized at Khalsa College, Amritsar, by New Delhi-based think-tank Centre for Science and Environment (CSE). The meeting was attended by about 100 journalists, students, academicians, and farmers’ representatives. How does Nitrogen pollution lead to impaired soil health? Too much nitrogen in the soil leads to reduction in carbon content of the soil and destroys the balance of nutrients in the soil, says Down To Earth’s report. Nitrogen pollution also affects water. Nitrate (NO3) concentration in dug-well and shallow bore-well water in Punjab, Haryana and western Uttar Pradesh has been found to be above the limits prescribed by the World Health Organization (WHO). Haryana fares the worst—with 99.5 mg per litre of NO3 against the WHO norm of 50 mg per litre. Too much nitrates in drinking water have been connected to what is called the “blue baby syndrome” in children—affected children experience a dip in the oxygen levels in their blood, leading to incidences of continuous diarrhea, respiratory problems, and high blood pressure. “Adverse impacts of Nitrogen pollution are not limited only to water and soil,” says Mahapatra. Nitrogen in the form of nitrous oxide (N2O) is a greenhouse gas, and a contributor to climate change. Fertilisers are the major emitters of nitrous oxide in India, though emissions from sewage and solid wastes are quickly catching up. Down To Earth quotes an expert to point out that N2O is 300 times more potent as a greenhouse gas than carbon dioxide. N Raghuram, president of the ING, who was interviewed by Down To Earth, says that the scourge of Nitrogen pollution can be contained, and a balance achieved between food security and the use of fertilisers. India is already moving to put a check on overuse of urea. What is needed now is rationalisation of unbalanced use of nitrogen fertilisers and a clamp-down on non-agricultural sources of nitrogen. Dear DTE, thank you for the information and sharing this knowledge. This is a very serious issue as far as the land and soil pollution is concerned. The report finds that average farmer consumption of 6000kg Urea in the last five decades, out of which 33% used and 67% unused mixed in soil raised a major concern for human and soil health. Nitrogen Fertilizers is common for most agriculture operations. Your report also indicates 10% of base total nitrogen fertilizer used in the 1960s has shot up to 80% consumption in 2015. But, it is not clear to me the agriculture/ irrigated land proportion used in the base and present year. I'm sure the land mass can be a good variable to indicate the potential hazard of nitrogen fertilizers used in Punjab, Haryana and west UP. I shall follow the DTE in this unique case study. My best wishes. Thank you.